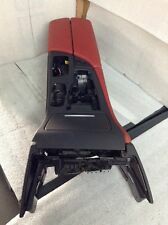 USED OEM CENTER CONSOLE OFF OF A 2013 BMW M5 ; RED LEATHER ; INCLUDING STORAGE, CUP HOLDER, REAR AC. OEM PART SEE PICTURE ACTUAL ITEM ON PICTURE. LOCATED CA 91733. LOCAL PICKUP AVAILABLE. To see all BMW M5 parts that we have in Inventory. This Part is from a 13 BMW M5. Model: 13 BMW M5. Quality Tested OEM Auto Parts from Pacific Motors | The Anti-Junkyard. Happy viewing! This is a used OEM center console operating unit assembly with silver trim bezel off of a 2013 BMW F10 M5. 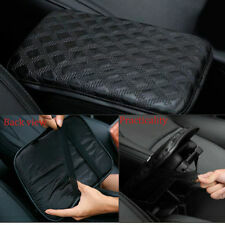 Was tested when on the car and was working properly. Trim has some scratches (view photos for details) Part number on switch is 61317846345 Should fit most 12-16 F10 m5 models with PDC and 360 camera view. Might require programming. Please make sure it will fit your vehicle before purchasing. Compatibility is buyers responsibility. Thanks for Viewing! 5 Series E39. 2000-2003 M5 Sedan (E39/S62). The upholstery on this center console is Black Napa Leather. The armrest has been replaced with a vinyl version. The leather is mostly nice looking. Details can be viewed in the photos. 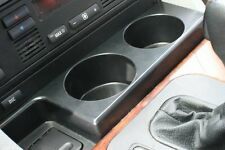 Used OEM black leather center console trim assembly with cupholders and ashtray off of a 2013 BMW F10 M5. Has minor scratches, and cupholder has some stains inside (view photos for details). Part number is 8050679, will fit 2012-2016 F10 M5 models. Please make sure this item will fit your vehicle before purchasing. Compatibility is buyers responsibility. Thanks for Viewing! Trending at $22.81eBay determines this price through a machine learned model of the product's sale prices within the last 90 days. All 5 series E39 1997-2003. M5 2000-2003. original BMW part. 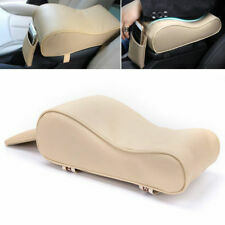 This anorginal OEM BMW item. insert tray only. 2004-2007 5 Series E60. This is a used original BMW part. 2006-2010 M5 Sedan (E60/S85). 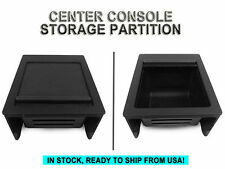 ITEM: center console, black lthr. Production for the "model year" usually begins in September of the previous calendar year, so if you have a 1995 model BMW it will have been produced anywhere between 9/94 - 8/95. Part Number 51167897096. Year/Model 06 BMW E60 M5. Help Coming Soon. along with the RMA number. Aurora, CO, 80011. Colorado Imports, Inc. Extended warranties available. No labor warranty is provided. Up or sale a used OEM %100 leather M5 armrest. See photos for more details. BLK color. 06-10 BMW 5 Series E60 M5 OEM center arm rest console compartment (Black interior) Please review pictures thoroughly prior to purchase. It's the buyers responsibility to check fitment with ther vehicle prior to purchase. Item will be shipped with USPS Parcel Select Ground. No returns. Thank you for viewing. It’s in great condition removed from 2010 m5 at 60k. In good used condition, out of a 1990 BMW 5 series, should fit other years and Models. OEM BMW leather armrest/center console from a 2003 M5. Black color. Good condition. This is not the vinyl version from non-M5. Pictures are of the actual item. Make/Model: Removed from E60 M5. It is advised to properly cleaning parts before installation. 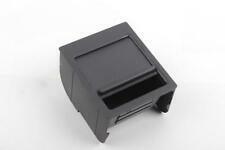 BMW E60 M5 Rear Seat Heated Switch Cigarrette Lighter Adapter CLA Dual This item is used with normal wear & tear. Click to view picture & details. Confirm fitment with your dealer or mechanic. 2011 BMW 535i F10 Body Style Sedan. 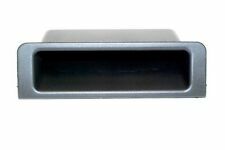 Center Console Grey Arm Rest Lid Cover Support. Original OEM Part! We recycle OEM parts. Oem f10 m5 center console. In Fair used condition, Has lots of scratches, But still usable. Taken from a 2002 BMW 530i, should fit other years and 5 series models. All 5-series (528i, 540i, 530i, 525i) 1998-2003. M5 2000-2003. Up for sale a NEW CENTER ARMREST HANDLE. OEM original BMW. Center Armrest Console Cupholder Tunnel Assembly Black Oem Bmw M5 F10 2012-16 vent Tine Loose, Mark/scratch On Left Side. To see all BMW M5 parts that we have in Inventory. This Part is from a 13 BMW M5. Center Armrest Console Cupholder Assembly 51168061753 Oem Bmw M5 F10 2012-16 missing Rear Vent Tine. To see all BMW M5 parts that we have in Inventory. This Part is from a 13 BMW M5. Model: 13 BMW M5. See photos for more details. God Bless USA! BMW Silver Gray Front Center Console Dove Grey E34 Late. All good mounting points! No ASC cut out! Nice shape! BMW 3 Series. Front Center Console. BMW 5 Series. Quality New and Used BMW Parts. ASHTRAY DOORS SLIDES LIKE IT'S SUPPOSED TO.